Just how exactly did Florida get excused from offshore oil drilling? For a state that didn't publicly object to a plan by the Trump administration to allow for offshore oil drilling, how did Florida get the only exemption, and what does "off the table" mean? Guess what Florida beachgoers may not have to worry about? It was a clear victory that most Floridians would celebrate. President Donald Trump's administration vowed to spare the state's waters from offshore drilling. Florida was "off the table." But a day after this extraordinary concession — one that no other coastal state was awarded — environmentalists, Democrats and other governors were questioning the way it all played out. It turns out that Florida was the only coastal state that didn't take a clear stance on the drilling proposal when the Interior Department came calling this summer. Gov. Rick Scott, who has supported drilling in the past, publicly intervened only in recent days. Meanwhile, governors from other states firmly objected, and yet still face the prospect of oil rigs towering offshore. Frank Jackalone, the Sierra Club's Florida chapter director, called Scott's failure to oppose the plan sooner "irresponsible." 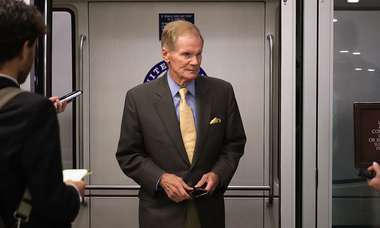 He said it bolstered his sense that the deal was just a ploy to secure environmental credentials for Scott ahead of an anticipated run against Democratic Sen. Bill Nelson, a staunch drilling opponent. "Scott jumped in Johnny-come-lately and now he's claiming all the victory for himself," Jackalone said. "Everybody who's been fighting drilling for years is seeing Rick Scott in the period of a week change his tune on drilling and then emerge as the champion in a choreographed press conference." Scott's office contends that the governor and his staff have often discussed their opposition to more drilling with the Department of the Interior. Communications director John Tupps said Scott raised the issue with Sec. Ryan Zinke in an October meeting. The two met again this week after Scott requested it. When Zinke announced their deal on Tuesday, he said President Trump had encouraged him to consider the state's perspective, and that Scott had made a case for Florida's unique status and reliance on tourism. "Senator Nelson and anyone else who opposes oil drilling off of Florida's coast should be happy that the governor was able to secure this commitment," Tupps said. "This isn't about politics. This is good policy for Florida." But congressional Democrats like Rep. Kathy Castor of Tampa questioned the timing of the announcement. "It was very disconcerting that Gov. 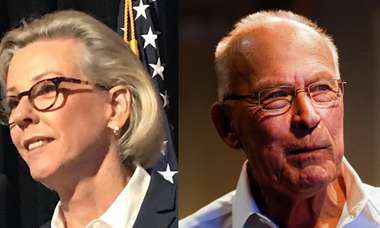 Scott was the only governor who did not raise the red flag when the Interior Department said, 'Here's our plan for offshore oil drilling,'" Castor said Wednesday. "It just seems disingenuous." Other environmentalists said they too were skeptical about the motivations behind Tuesday's announcement. "It's surprising that it was as simple as Gov. Scott asking to be taken out of the drilling plan when really most of the other coastal governors have done the same, and they're not out of the drilling plan," said Jennifer Rubiello, director of Environment Florida. In a statewide race against a Democrat, Scott will tout his role in saving Florida's shores. Despite having reservations about the possible political motivations, Enid Sisskin of Gulf Coast Environmental Defense said the exemption will benefit the coast, for now. "We need it to be permanently protected so different administrations can't change it depending on how the wind blows," Sisskin said. Details on the Florida exemption have been scant. In describing its terms, Zinke said simply, "Florida will be taken off the table." In a speech on the Senate floor on Wednesday, Sen. Nelson pushed for elaboration. "Well, what exactly does 'off the table' mean? All of the Eastern gulf? Half of it? 125 miles off the coast?" Nelson said. "Right now his promise is just empty words." Nelson doubled down on his characterization of the announcement as a stunt and asked Floridians to object to the federal plan. Castor said she wondered whether Sec. Zinke's departure from the agency's formal public comment process could put the no-drilling agreement in a precarious place. "What I fear is, in their haste to make this very political announcement, they may have damaged Florida's legal position," she said. Oil industry leaders also decried the departure from typical procedure. 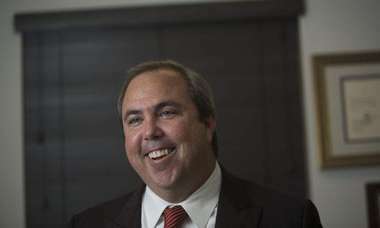 "I think it's premature, said David Mica, director of the Florida Petroleum Council. "We should be following the established process prior to coming to conclusions in all of our decisions." As it applies to Florida, there doesn't seem to have been a formal process. On Wednesday, Zinke told the Washington Post that it was a personal connection with Scott that led to their deal this week, not the process that his agency employed to survey what states thought of the drilling plan. Zinke said he first met Scott during Hurricane Irma preparations, then again as they worked on Everglades restoration. When Scott wrote him objecting about the drilling plan, Zinke felt moved to respond. "Quite frankly, Gov. Scott called me and [also] expressed in writing a desire to have a meeting," Zinke said, according to the Post. That meeting was the first "in what I believe will be a series of conversations" with other state leaders, the secretary said. "I will no doubt talk to every governor. It doesn't matter to me whether you're Republican or Democrat. This is going to be a long process." But in the actual process that could be reviewed by the public, neither Florida nor Scott volunteered an opinion. This summer, the Department of the Interior asked states for "information/comment" on its drilling plan. Florida officials outlined serious concerns, including drilling's impact on military training, marine life and tourism, but ultimately expressed no position for or against. 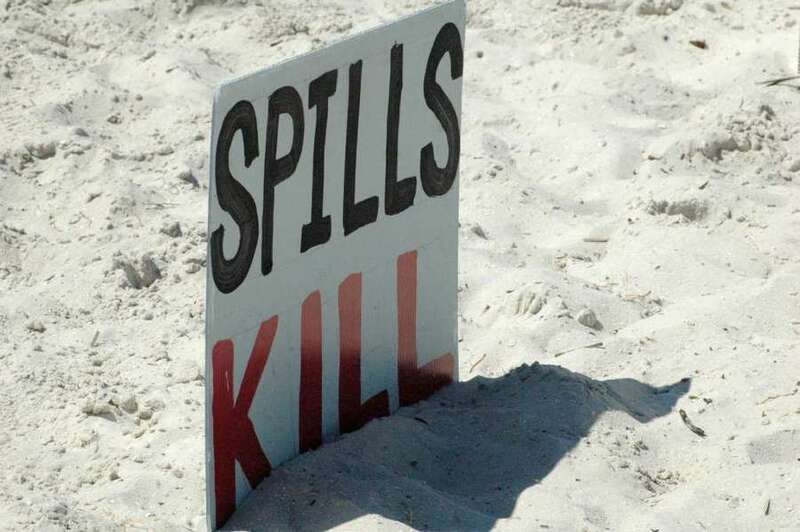 "It is imperative that safety and environmental protection be paramount in conducting (Outer Continental Shelf) oil and gas activities," stated an Aug. 17 letter from a Florida Department of Environmental Protection administrator. In a statement Wednesday, spokeswoman Lauren Engel said that the DEP "clearly communicated a plethora of concerns." But no objection was made, either. While three states didn't respond to the agency at all, 19 others made their positions obvious. Texas and Louisiana, for instance, said they supported the plan, while the governors of California, Oregon and Washington, all Democrats, jointly said they opposed drilling. The California Fish and Game Commission even passed a resolution supporting a ban on oil and gas leasing. Now, leaders in some of those anti-drilling states have been crying foul. Join me in telling @SecretaryZinke: No offshore drilling off New York’s coast.